The A race, I had been training for since last year failing to finish at Winschouten 100k in September 2017. This was the second selection for the same distance and this time I was desperate to finish and prove my fitness. 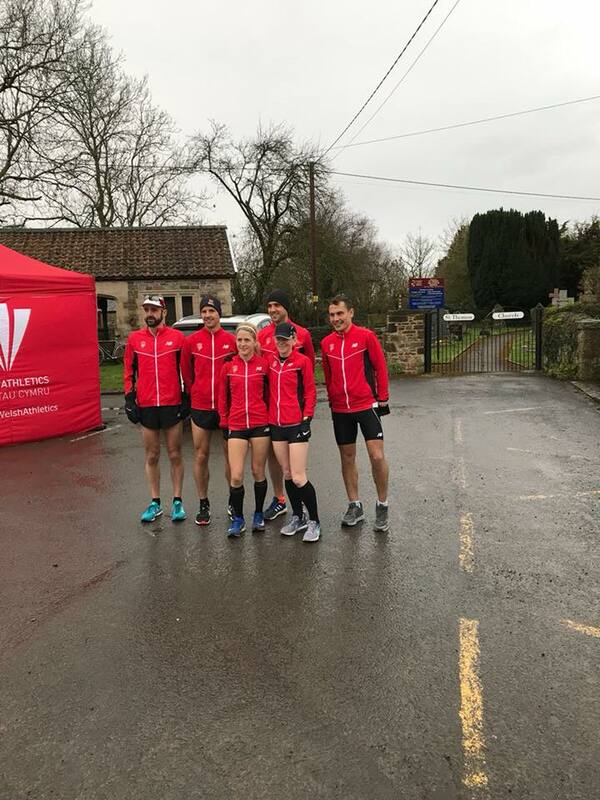 The Anglo Celtic Plate ( ACP) is a yearly event which rotates between England, Scotland & Wales to develop athletes beyond the marathon and into ultra-distance runners.. 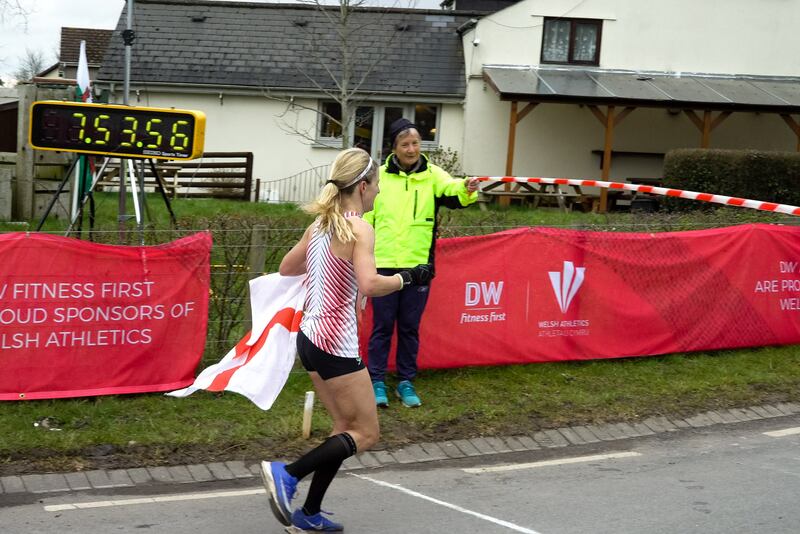 This year it was Wales’s turn to host under the guidance of Steve and Jackie Brace – Welsh Athletics. Although more experienced with the long distance especially with 50k’s, 50 miles, 100k and 100 mile races under my belt I was still incredibly nervous. Mainly down to the fact I had spent the whole of 2017 fighting glandular fever and with another relapse at the end of January. Anyone that has run beyond a marathon will understand it’s a different type of nerves because it isn’t so much the distance its more about how your body is going to react to the nutrition, course and let’s face it a very long way still at speed! 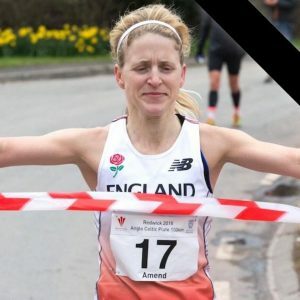 There were 17 runners racing for their home nation and only 2 women for England, both Sophie Carter (former Belgravian) and I, so I hoped to do the club, my coach and myself proud. Having prayed all week that ” the beast from the east Part 3″ was due so I was concerned with the limited race options for 100k that the race may indeed after some significant training not be on. Having had heavy rain back home in Oxford Weds, Thurs, Friday the weather wasn’t looking promising with cold temperature, high winds and guess what ” more rain”! Depressing… anyway as they say you cant control the weather, it is what it is, think ” Team England” were just worried about the distance. I arrived with my Support crew on Friday afternoon, the journey “good Friday took” an hour longer and all I wanted to do was de-stress and suspect it was due to Cardiff hosting the Anthony Joshua fight. I cracked on in the evening race prepping/team brief and a dinner at a local pub after the exciting (sarcastically said) course route inspection, which although lots of scattered pubs looked flat and nice. Only 31 laps eeek !! Morning of the race I looked like a startled rabbit at 6am , nerves had built up with a combination of anxiety from the thoughts of the previous year’s failures to overcome. My crew Jo, Anne, Trevor and I travelled down with the team at 7am and then the pre-race stresses, several non-stop toilet trips started kicking in. The race was to start at 8am. The runners descended off to the start shivering and most started with jackets/gloves/armguards and some leggings and the weather did continue into the afternoon get colder. The laps felt easy up to the point of 55/60k and I went through halfway in 3hrs 45 but then the hurting started. Fighting in the wind on some of the long straights, trying to lift up my knees where my cadence had become shorter, slower and then a few laps where I started to lose focus. Regardless was determined to carry on and I managed to lap the female field multiple times so I knew I had a big buffer. No one looked better than anyone else, we were all digging deep in the conditions either dodging tractors at speed or headwind. A great spectator course/ also for the aid station being every 2 miles. The last 12 miles really were the hardest for me as I counted down 6 laps, 5 laps, 4 laps and then the last 2 laps pushed to get through. Sadly I missed the 7.52 individual time by a minute and suspect my moments of toilet stops/talking at the aid trying to get myself together as all needed was to cross that line. There is was and in a time of 7hrs 53.57. Elated however with a pb of 16 minutes, a course record and my confidence back. Sadly though I spent straight after 2hrs on the sofa getting medical treatment as I went downhill very quickly with hyperthermia and drifting off, after some fabulous TLC from St Johns came back to life to make sure I could lift that large trophy !